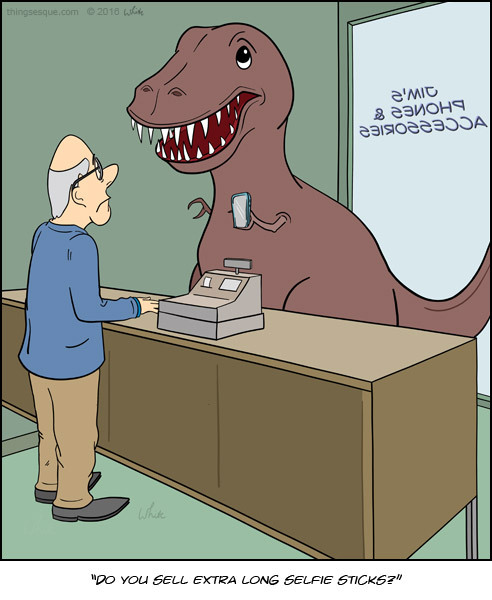 A Tyrannosaurus rex enters a phone accessories store and enquires about an extra long Selfie Stick for his mobile phone. 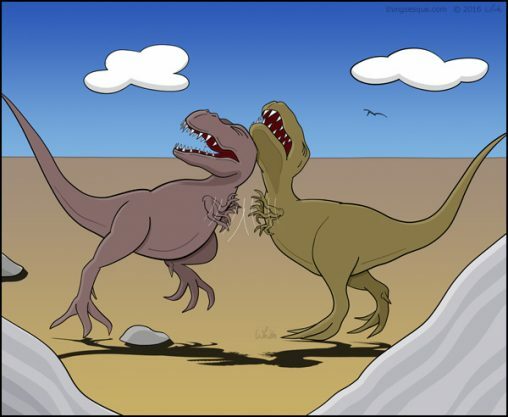 A prehistoric disagreement escalates into a full-blown dinosaur slap fight between two Tyrannosaurus rex. 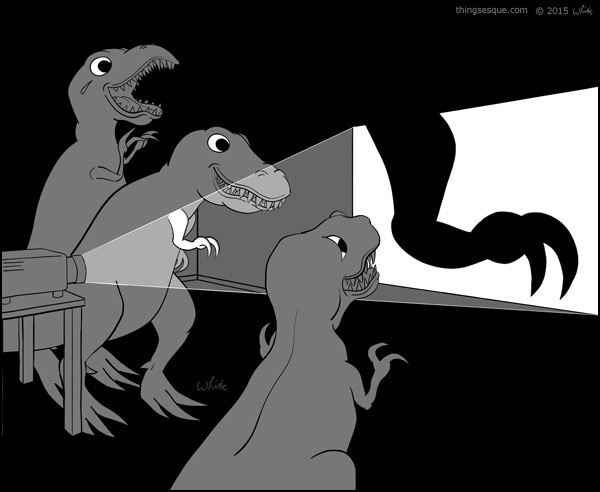 A projector quietly hums in a dark room as three Tyrannosaurus rex have fun enlarging their tiny forearms in shadow form on the big screen. 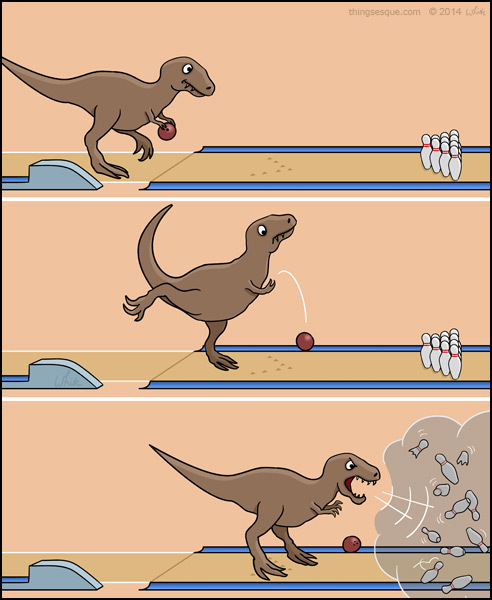 A Tyrannosaurus rex attempts ten pin bowling but discovers his arms aren’t sufficiently strong enough to aim well or power the ball to the end of the bowling lane. 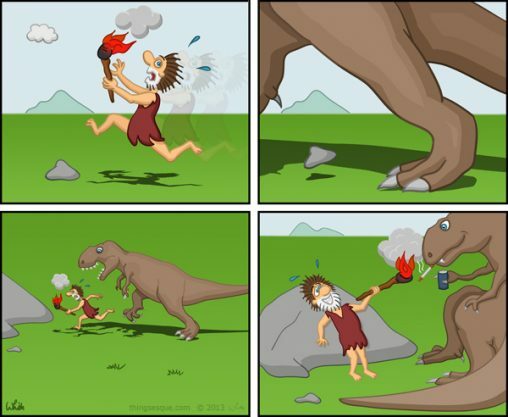 Annoyed with the gutter ball result it moves forward and obliterates the pins with an angry growl. Across the prehistoric fields, a caveman with a torch is chased by a Tyrannosaurus rex, wanting a light for his cigarette and a little social time. 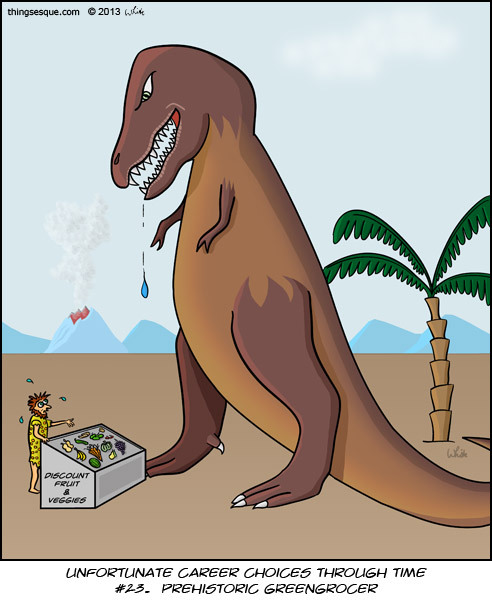 A worried looking prehistoric greengrocer shows his selection of fruit and vegetables to a dissatisfied Tyrannosaurus rex and realises that a bad career choice may have been made.